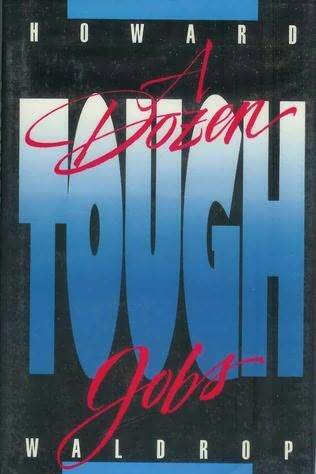 A Dozen Tough Jobs, Howard Waldrop, 1989, Mark V. Ziesing Books, ISBN 0-929480-01-5, $16, hb, 135 pp. Translate the twelve labors of Hercules into the cultural climate of Northern Mississippi in the 1920s, and while you’re there make some true insights into human society of any time–why, only Howard Waldrop would attempt such a thing, and only Waldrop could have the panache to pull it off. A Dozen Tough Jobs should have been written 200 years ago so that it could have received the treatment it deserves: that being carved into stone. Waldrop proves that less is more, by condensing magic, bigotry, love, checkers, guitars, romance, and everything else that makes life…well, life, into a novella that is easily read in one night. I.O. Lace is a young black boy who works for Boss Eustis. Well, work is hardly right. Work for blacks in Mississippi at the time was only a step removed from slavery, and Boss Eustis is a man to be feared. Joining I.O. in his life-once-removed-from-slavery is a man who is a slave: a convict named Houlka Lee, remanded into Boss Eustis’ service for one year. This novella is both subtle and not at the same time. For those unfamiliar with the Greek myths and classics that this is based on, the novella is an interesting view into 1920s Mississippi life. But for most of us, it is filled with little treasures that would make some annotator leap up and click his heels. Waldrop works in every aspect of the Hercules myth with such ease that you wonder if he rewrote all the Bullfinch’s Mythology of the world so that they fit his novella, instead of the other way around. Waldrop is a special writer, and one who deserves far more attention then he’s ever gotten. Unfortunately, he is not very prolific, so when a new Waldrop story arrives, it is indeed a time of joy. A Dozen Tough Jobs is a time of ecstasy. Missing this book will only make your life sadder.